Fleur's smooth Rose-Jasmine Moisturizing Milk will leave your skin soft, moisturized and radiant. Rose-Jasmine Moisturizing Milk is made with Moroccan rose petals for a luxurious body moisturizer that works to renew, firm and moisturize the skin. Its beautiful fragrance combines rose, jasmine and orange floral water for a relaxing, theraputic experience. 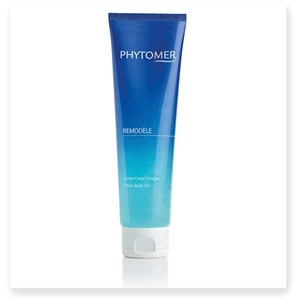 Phytomer REMODÈLE Tonic Body Gel is a sensory splash for reshaping the silhouette.